The morning’s hunt meeting is over. We are on the way out into the hilly terrain to get to the day’s hunting ground. The only noise is our footsteps in the wet marsh, which are sometimes interrupted by a moment’s listening for the dog. The scenery is spectacular and there is anticipation in the air. Anticipation and excitement! What will happen today? What will we see? How will we react when we make contact? Suddenly – the dog barks! 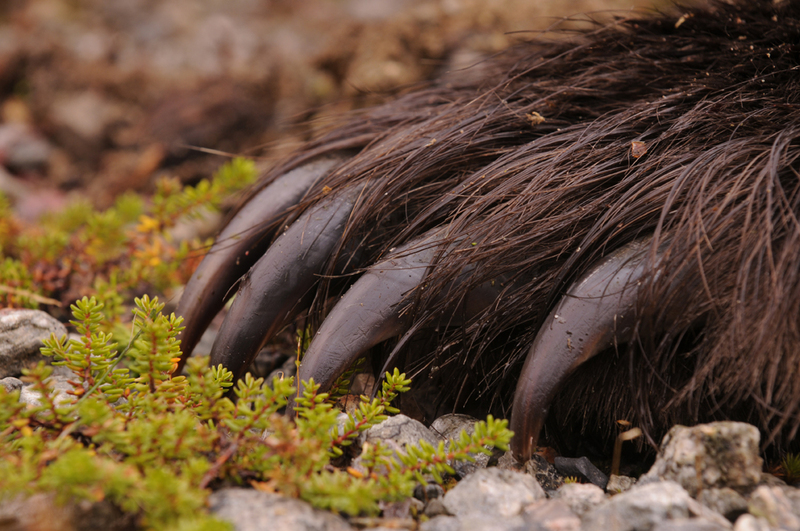 The bear – our biggest and most dangerous predator. A legendary animal. A beautiful and cunning creature that few people are privileged enough to see close up. Myths and truths are combined in the numerous stories of meetings between bears and humans. Whether they are true or false, the bear is a fantastic animal.